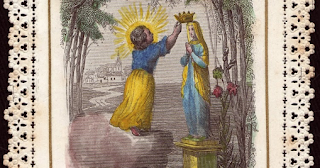 Hail Holy Queen, the only Mother of the Community of the Daughters of Charity! Every year on the 22nd of August, we celebrate the feast of the Queenship of Mary. 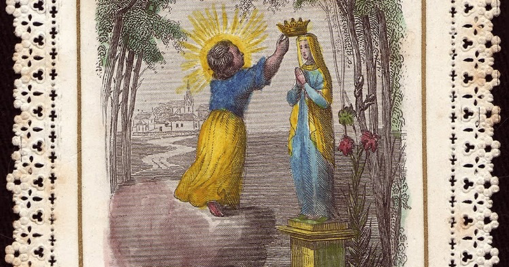 She is queen of heaven and earth and, for us Daughters of Charity, she is the only Mother of the Community and the Queen of the poor--the destitute, most-abandoned, the forgotten, the migrants and refugees, etc. From her lowliness and openness, she gave us the most precious gift of all, the Prince of Peace, our Lord Jesus Christ. “Hail Mary full of grace, the Lord is with you”....through her “fiat” the “Word became flesh” and in whose Being, the world became reconciled to God. Her total gift of self made possible the salvation of all humanity and creation, as she spoke “Behold I am the handmaid of the Lord” (Luke 1:38). 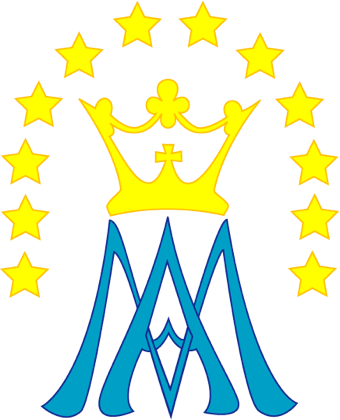 As servants of those who are poor and sick, the founders of the Daughters of Charity, St. Vincent and St. Louise, inculcated the love and imitation of the Virgin Mary (Constitution 15b). We look to Mary as our model of humility, simplicity, and charity. “Blessed are you among women”...Mary’s deep faith and trust in God led her to fully surrender her whole being to the great ‘unknown’; to motherhood and family life, to the throngs of suffering and pain, and finally to the hope in the resurrection of her Son. She bore all for the sake of Jesus’ salvific mission as priest, prophet and king. Whoever seeks to follow Jesus encounters Mary who received Him from the Father. She was the first Christian and the consecrated Virgin par excellence, present in the life of the Company from the beginning (Constitution 15a). Like Mary, we are to embrace the plan God created for us with steadfast love and unflinching hope. “Blessed is the fruit of your womb, Jesus”... the Holy Spirit came upon her and God’s only Son grew in her womb. Fully God and fully human, Jesus became the revelation of the new covenant, the most awaited one, Christ, the Messiah. Though He was God, he emptied himself and became human like one of us (Philippians 2:6-7). On Oct 18, 1655, St. Vincent spoke to the sisters about their Common Rules “the main purpose for which God has called the Daughters of Charity and brought them together is to honor our Lord Jesus Christ as the source and model of all charity, serving Him corporally and spiritually in the person of the poor” (Coste Volume 13b doc 149, pg. 147). We believe that in serving those who are poor, we serve Jesus himself. “Holy Mary, mother of God, pray for us sinners” … “ theotokos” - the God-bearer, continues the mission God entrusted to her as fulfilled in her lifetime, her relationship with God, the Father and the Holy Spirit, and with her Son, Jesus and his disciples. She is our daily intercessor, our mediatrix of God’s mercy, hope, and grace. Through her apparitions all over the world, she continues to remind us of God’s unconditional and everlasting love for humankind. Her ‘yes’ shows the boundless possibilities whenever we exercise our fundamental option in responding to God’s invitation to live holy lives in service of God and others. 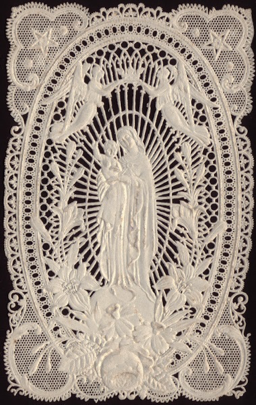 Mary, Queen of heaven and earth, and of those who are poor, pray for us. Written by Sister Marie Rachelle Cruz, D.C.